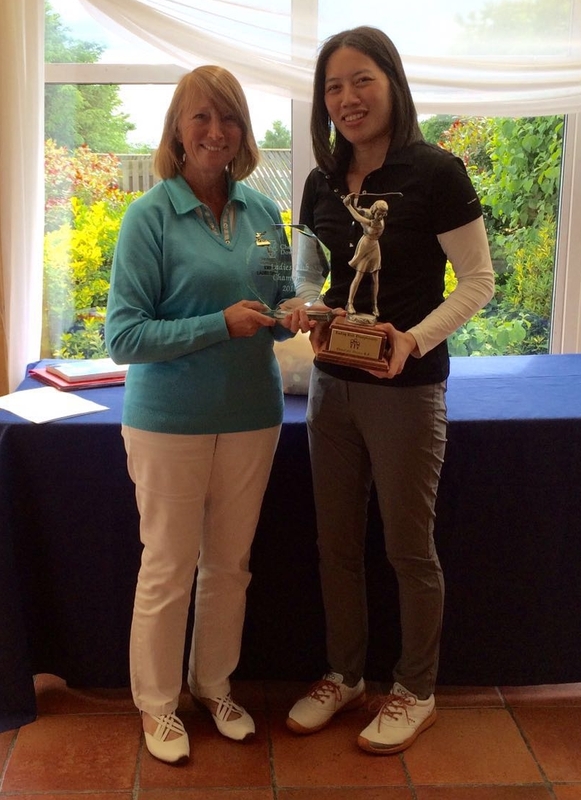 To rapturous applause and for the 3rd year in a row, our Club Champion for 2016 is Virginia Chan. With an excellent score of just 167 over 2 rounds, and only 1 over her handicap, Virginia was easily the winner this year. The winner of the nett competition, the Angela Chatterton Cup, is a delighted Kathy Morris. Virginia and Kathy will have their names added to the club Honours Board. Congratulations to them both. Our two Club Champions are now invited to play in the Crown Golf Champion of Champions Competition at Sherfield Oaks Golf Course on Saturday 10th September 2016. To our Scratch Team who play away at Harpenden on Monday 4th July. And to our Friendly Squad who play at home against Mowsbury on Wednesday 6th July. Still some places available for this special occasion. You can also now invite guests to celebrate our 25th anniversary event. 7pm for Welcome drinks, magician, 3 course meal, anniversary gift, live band, DJ entertainment & dancing to 1am. Let’s celebrate 25 years of Chesfield Downs Golf Club! Let me know if you would like tickets or see the sign up sheet on the Social Notice board. 7-Day – On Saturday we joined the men’s section to play in the mixed Denis Flyn Memorial competition. The winner was Tony Routledge with 39 points. 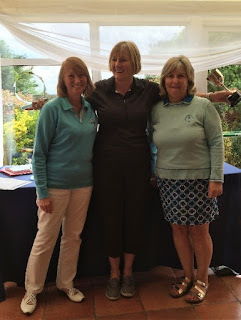 Best placed golfer from our ladies section was Jackie Reid followed by Pat Ward. Tuesday – American Foursomes. The winning pair this week with 33 points were Chris Leary and Julia Goodwin. In 2nd place were Diane Chapman and Brigid Kerr. Well done everyone.